Francis Matthews had his debut solo exhibition at the The Molesworth Gallery in November, 2016. Francis graduated with first-class honours degree in architecture from UCD before pursuing a career as an artist. He has won multiple awards at the RHA Annual, including the Hennessy Craig Scholarship. His practice is informed by light, architecture and the phenomenology of place. The scenes he creates are almost always absent of people, describing places of neglect or moments of silence in otherwise inhabited locations. 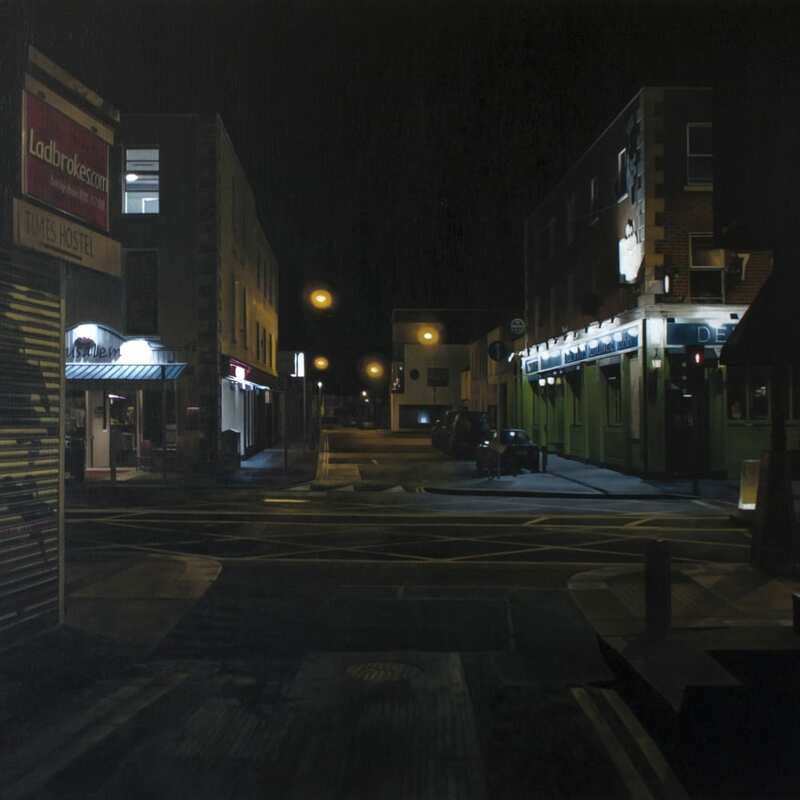 His most recent exhibition at the gallery consisted of a series of 12 nocturnes plotting a route from Heytesbury St to Harcourt St in Dublin.